We are excited to share that we just released a single called "This Little Old Home." It is a song about a family home/farm that has been passed down from generation to generation and was built by hand many years ago. Over the years a lot of devoted sweat and tears were put into the land and home to keep it beautiful. It is situated on many acres of farmland in the middle of suburbia New Jersey. Originally, the land had a beautiful orchard of apple trees, grapes, raspberries, blueberries, and a large lush flower garden. The farm was full of life with buzzing bee hives, and crowing chickens at one point. This family home and garden still stands today, but is beginning to fall apart due to age and inability to maintain the grounds. The song is about bringing it back to it's glory days, back to how it was when the grounds were maintained and so full of life. The American Dream has always been to get that beautiful home with the white picket fence and acreage, but not many people talk about attaining a dream that their grandparents parent's started. This family home means a lot to us and we love going back there for visits. Each time we are there we try to do our part to help bring it back to it's previous glory. Things are looking up for "This Little Old Home," much needed renovations have been made this past year and we have plans to restore the greenhouse to it's previous grandeur this summer. The farm is still operational and we love to talk walks around the grounds when we visit to take in the beauty that is still left. We think this is a story that many families in North Carolina, where we currently live, can relate to. Many families are still fighting to keep their little piece of The American Dream alive today as their families move away and start their own lives in brand new houses. The tradition used to be that you passed on a home to your family, but these days it seems the tradition is to just move away and leave it all behind. We want to show how a family can work together to keep tradition and history alive, by just putting in a lot of love! We had a lot of fun writing & recording this song and we hope you enjoy it as well! 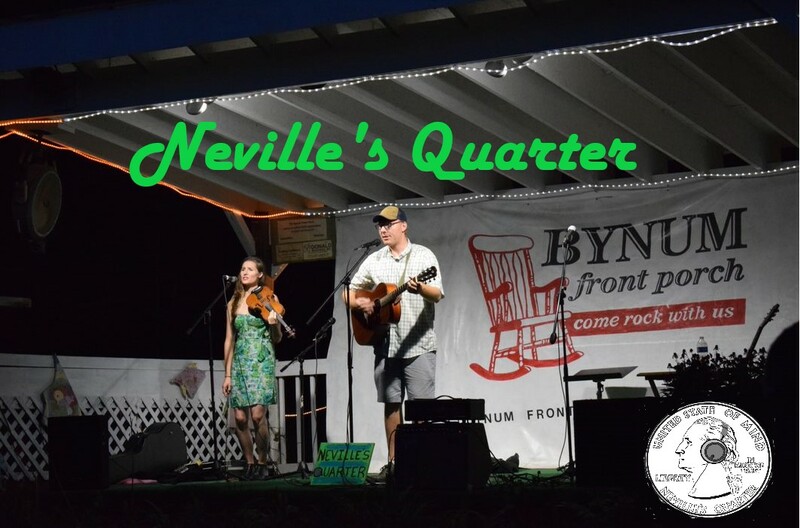 Happy New Year Neville's Quarter Fans!